A native of Silver Creek, Howard Ehmke had one of the most successful Major League Baseball careers ever among Western New Yorkers. Ehmke began his big league career in 1915 at the age of 20 with the Buffalo Blues of the Federal League. He would go on to pitch for 15 seasons with the Detroit Tigers, Boston Red Sox and Philadelphia Athletics. In total, Ehmke posted a record of 166 wins and 166 losses, and had 10 or more wins nine times, however his career included many other significant highlights. Ehmke was a 20 game winner for the last place Red Sox in 1923, a season that also included a no-hitter. Four days later he followed that gem with a one hit performance, giving him the American League record for fewest hits allowed in consecutive games. Johnny Vander Meer’s consecutive no-hitters in 1938 is the Major League record. He was among the league leaders in complete games, strikeouts, and innings pitched and finished 11th in MVP voting. He followed up in 1924 with a 19 win season in which he was second in strikeouts, led the league in innings pitched and was 15th in MVP voting. 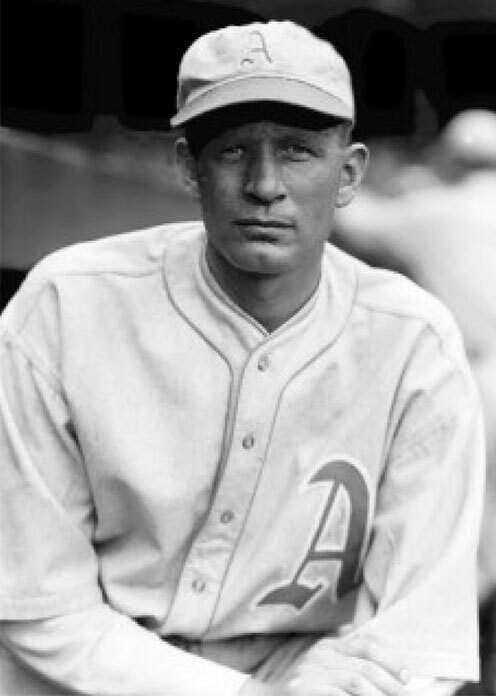 After a trade to the Athletics, Ehmke had a winning record for the A’s each season from 1926-29. He became the surprise Game 1 starter in the 1929 World Series when he convinced legendary manager Connie Mack that he “could get these Cubs out.” Ehmke pitched a complete game, struck out 13, a World Series record that stood until 1953, held the Cubs scoreless until the ninth inning and won 3-1. Upon his retirement a year later, Ehmke sold another idea to his former manager, Mack – a large canvas tarpaulin that could be spread over the infield when it rained to keep water off the baseball diamond. That was the beginning of the Ehmke Manufacturing Company, which is still in business today. Howard Ehmke passed away in Philadelphia in 1959 at the age of 64. He was inducted into the Chautauqua Sports Hall of Fame in 1983.